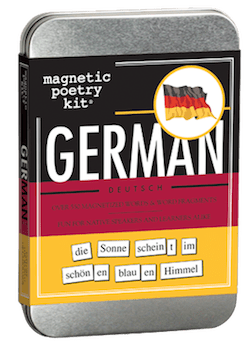 German language kit developed by bilingual fans of Magnetic Poetry, comes with a mini-translation guide. Kit contains over 500 German magnetic word tiles. Tile height is .375". Package size is 4.75w x 6h x 1.25"d.